Afro beat singer Queen Cha confessed that she almost quit music in 2013 when she woke up reading weird comments on her half naked pictures showing under pants in almost all tabloids. The singer recounted the ordeal when she was asked why female artists are still few in industry compared to males. 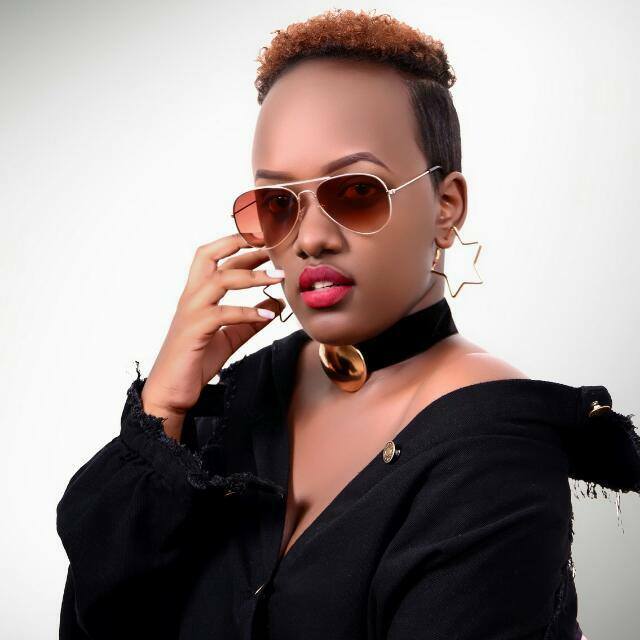 The Mumparire singer revealed that some young talented girls fear to deal with showbiz pressure hence giving up on their dreams before even they start. “Personally, I almost left music industry when I woke up in the morning reading weird comments on my pictures taken while performing in some bar yet I had dressed purposely for stage,” she said. The above incident took place back in 2013 when Queen Cha was performing in a popular Kigali hangout by then called Relax Bar and Resto. She had put on a legging with a white nicker which was single handily picked by paparazzi cameras. Hers was not the only case. Early this year upcoming songstress Marina was dragged off the stage while performing and later she confessed that people behind it thought she was dressed inappropriately. “Being a perform demands you to do things like dressing in skimpy outfits, performing in bars late at night and as a female, this might draw negative comments which might damage you mentally and even cost you a career,” Marina said. The government of Rwanda has unleashed various campaigns like ‘He For She’ to empower females especially on equality in every sector including art industry. However, some parents still shun away certain professionals like music and acting due to scandals surrounding the showbiz industry. Dancehall upcoming artist Asnah Erra alias Mukasine once confessed live on KT Radio, how she almost quit music after her first performance because of people branding her as a prostitute. Despite the negativity in the industry, there are some females who have managed to strive musically like Miss Jojo, Shannel, Knowless Butera, Aline Gahogayire and they always advise young sisters to differentiate stage costumes as well as ignoring negative ideas. The above is not only happening in Rwanda but even elsewhere across the globe, the entertainment industry is still a boy’s club. Queen Cha boosts of songs like Winner, Ntawe Nkura, Baby Love and many more featuring established artists. Queen Cha was born Yvonne Mugemana 05 June 1991 from Charles Mugemana and Adeline Nyiraneza.